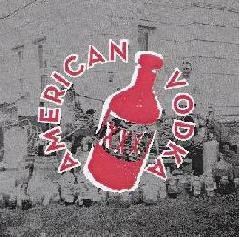 American Vodka - 4 song CDEP / Bahrain - "Cassingle"
Scott Telles is a busy boy. In addition to the ST 37 mothership he's also been releasing music as Bahrain and now American Vodka. On their debut, a 22 minute CDEP, American Vodka is the quartet of Telles, Justin Bankston (Winslow), John Wilkins (Winslow, Fires Were Shot), and Brian Purington (My Education). The music consists of guitar driven rock, sometimes with a shoegazer style, sometimes spaced, and a nice sense of dreamy aggression. "Falling Water Rising" is a rousing rocker with great bashing guitars. "Nantucket" is a nice dreamy melodic song that manages to float along despite the harshness of the guitars. "German Girls" and "Violet" are my favorites, due to the more spacey edged guitars. Well done. I hope to hear a full length soon. In AI #28 I reviewed the first full length Bahrain CD, and now they've released a 3-song CDEP. The band consists of Scott Telles on bass, synths and vocals, Doug Boone on guitar and vocals, Colleen Gugan on bass, synth and vocals, and Melissa Johanningsmeier on drums and vocals. Bahrain isn't radically different from American Vodka. Scott doesn't handle all the vocals, but Bahrain does also have a heavy, noisy, yet melodic guitar sound. "Morning 9" is a solid rocker. "Outside Waco" is my favorite, being a somewhat intricate noisy guitar rocker. On the one hand it's pure raw guitar rock, but there's a lot of twists and turns throughout that keeps things interesting. Very cool. And "TX 77 Lament" is a steady paced, mostly instrumental melodic jam tune with a psychedelic quality. Be sure to check out the ST 37 reviews that appear in this issue. For more information you can visit the American Vodka web site at: http://myspace.com/americanvodka. 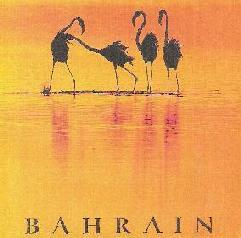 Visit the Bahrain web site at: http://www.myspace.com/bahrain.